The annual Empty Bowls dinner serves up a simple meal of soup and bread as a reminder that too many people throughout our region are facing hunger with “empty bowls”. 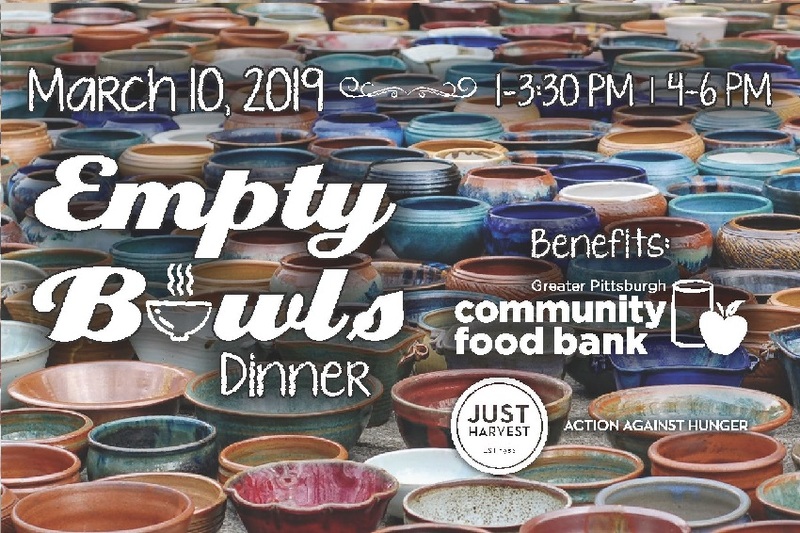 This year’s event benefiting Greater Pittsburgh Community Food Bank and Just Harvest will feature artisan pottery for guests to take home, soups from local restaurants, children’s activities and an auction featuring artwork and celebrity-autographed bowls. Tickets can be purchased in advance for $20 and $25 at the door. Children's tickets (3 to 12 years of age) can be purchased for $10 in advance and at the door. Proceeds benefit Greater Pittsburgh Community Food Bank and Just Harvest.